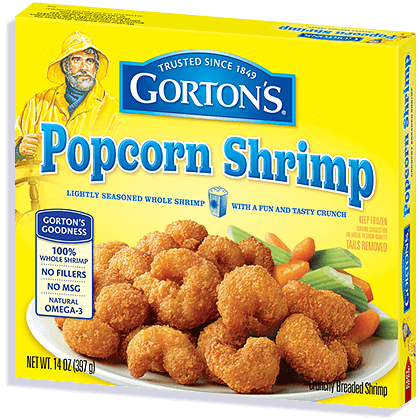 Leave it to Taste and See to find yet another family-friendly way to pair up Gorton’s Popcorn Shrimp with your favorite veggies and sauce. Saute ginger and garlic over medium heat in olive oil for 2 minutes. Add the rest of the sauce ingredients and cook 2 more minutes. Start cooking rice according to your package instructions. Place Gorton’s shrimp on a parchment-lined cookie sheet, and bake at 425° for 14-16 minutes (flip once at 8 minutes). Meanwhile, saute peppers and onions in 1 tablespoon vegetable oil over medium-high heat for 6 minutes. Add peas and pineapple, and cook 2 more minutes. 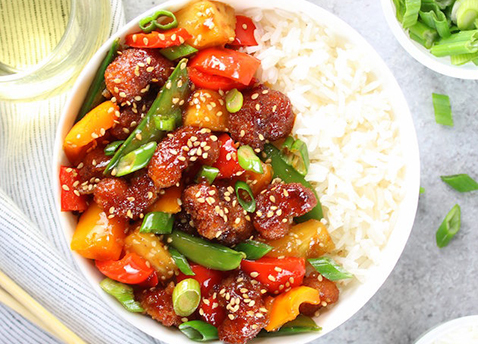 Remove from heat and toss with half of the sweet and sour sauce. To serve, add cooked rice to each serving bowl, then add veggie/pineapple mixture. Add shrimp, and drizzle the shrimp with some of the remaining sweet and sour sauce, making it as “saucy” as you prefer.